For all wireless Internet access, see Wireless broadband. Mobile broadband is the marketing term for wireless Internet access through a portable modem, mobile phone, USB wireless modem, tablet or other mobile devices. The first wireless Internet access became available in 1991 as part of the second generation (2G) of mobile phone technology. Higher speeds became available in 2001 and 2006 as part of the third (3G) and fourth (4G) generations. In 2011, 90% of the world's population lived in areas with 2G coverage, while 45% lived in areas with 2G and 3G coverage. Mobile broadband uses the spectrum of 225 MHz to 3700 MHz. Mobile broadband is the marketing term for wireless Internet access delivered through mobile phone towers to computers, mobile phones (called "cell phones" in North America and South Africa), and other digital devices using portable modems. Although broadband has a technical meaning, wireless-carrier marketing uses the phrase "mobile broadband" as a synonym for mobile Internet access. Some mobile services allow more than one device to be connected to the Internet using a single cellular connection using a process called tethering. portable devices with built-in support for mobile broadband, such as laptop computers, netbook computers, smartphones, tablets, PDAs, and other mobile Internet devices. Internet access subscriptions are usually sold separately from mobile phone subscriptions. Roughly every ten years new mobile phone technology and infrastructure involving a change in the fundamental nature of the service, non-backwards-compatible transmission technology, higher peak data rates, new frequency bands, wider channel frequency bandwidth in Hertz becomes available. These transitions are referred to as generations. The first mobile data services became available during the second generation (2G). The download (to the user) and upload (to the Internet) data rates given above are peak or maximum rates and end users will typically experience lower data rates. WiMAX was originally developed to deliver fixed wireless service with wireless mobility added in 2005. CDPD, CDMA2000 EV-DO, and MBWA are no longer being actively developed. In 2011, 90% of the world's population lived in areas with 2G coverage, while 45% lived in areas with 2G and 3G coverage, and 5% lived in areas with 4G coverage. By 2017 more than 90% of the world's population is expected to have 2G coverage, 85% is expected to have 3G coverage, and 50% will have 4G coverage. A barrier to mobile broadband use is the coverage provided by the mobile phone networks. This may mean no mobile phone service or that service is limited to older and slower mobile broadband technologies. Customers will not always be able to achieve the speeds advertised due to mobile data coverage limitations including distance to the cell tower. In addition, there are issues with connectivity, network capacity, application quality, and mobile network operators' overall inexperience with data traffic. Peak speeds experienced by users are also often limited by the capabilities of their smartphone or other mobile device. It is estimated that there were 6.6 billion mobile phone subscriptions worldwide at the end of 2012 (89% penetration), representing roughly 4.4 billion subscribers (many people have more than one subscription). Growth has been around 9% year-on-year. Mobile phone subscriptions are expected to reach 9.3 billion in 2018. At the end of 2012 there were roughly 1.5 billion mobile broadband subscriptions growing at a 50% year-on-year rate. 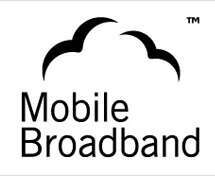 Mobile broadband subscriptions are expected to reach 6.5 billion in 2018. Mobile data traffic doubled between the end of 2011 (~620 Petabytes in Q4 2011) and the end of 2012 (~1280 Petabytes in Q4 2012). This traffic growth is and will continue to be driven by large increases in the number of mobile subscriptions and by increases in the average data traffic per subscription due to increases in the number of smartphones being sold, the use of more demanding applications and in particular video, and the availability and deployment of newer 3G and 4G technologies capable of higher data rates. By 2018 total mobile broadband traffic is expected to increase by a factor of 12 to roughly 13,000 PetaBytes. On average, a mobile PC generates approximately seven times more traffic than a smartphone (3 GB vs. 450 MB/month). By 2018 this ratio is likely to fall to 5 times (10 GB vs. 2 GB/month). Traffic from smartphones that tether (share the data access of one device with multiple devices) can be up to 20 times higher than that from non-tethering users and averages between 7 and 14 times higher. Note too that there are large differences in subscriber and traffic patterns between different provider networks, regional markets, device and user types. Demand from emerging markets has and continues to fuel growth in both mobile phone and mobile broadband subscriptions and use. Lacking a widespread fixed line infrastructure, many emerging markets leapfrog developed markets and use mobile broadband technologies to deliver high-speed internet access to the mass market. In 1995 telecommunication, mobile phone, integrated-circuit, and laptop computer manufacturers formed the GSM Association to push for built-in support for mobile-broadband technology on notebook computers. The association established a service mark to identify devices that include Internet connectivity. Established in early 1998, the global Third Generation Partnership Project (3GPP) develops the evolving GSM family of standards, which includes GSM, EDGE, WCDMA, HSPA, and LTE. In 2011 these standards were the most used method to deliver mobile broadband. With the development of the 4G LTE signalling standard, download speeds could be increased to 300 Mbit/s per second within the next several years. The IEEE working group IEEE 802.16, produces standards adopted in products using the WiMAX trademark. The original "Fixed WiMAX" standard was released in 2001 and "Mobile WiMAX" was added in 2005. The WiMAX Forum is a non-profit organization formed to promote the adoption of WiMAX compatible products and services. Established in late 1998, the global Third Generation Partnership Project 2 (3GPP2) develops the evolving CDMA family of standards, which includes cdmaOne, CDMA2000, and CDMA2000 EV-DO. CDMA2000 EV-DO is no longer being developed. In 2002, the Institute of Electrical and Electronics Engineers (IEEE) established a Mobile Broadband Wireless Access (MBWA) working group. They developed the IEEE 802.20 standard in 2008, with amendments in 2010. ↑ Mustafa Ergen (2009). Mobile Broadband: including WiMAX and LTE. Springer Science+Business Media. ISBN 978-0-387-68189-4. ↑ "Total Midyear Population for the World: 1950-2050", International Programs Center for Demographic and Economic Studies, U.S. Census Bureau. Retrieved 24 May 2014. 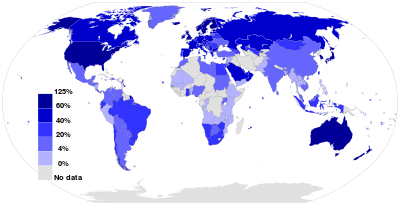 1 2 ICT Facts and Figures 2005, 2010, 2014, Telecommunication Development Bureau, International Telecommunication Union (ITU). Retrieved 24 May 2015. ↑ "Service mark: The global technology identifer". GSM Association. Retrieved July 17, 2011. ↑ "What is the future of mobile broadband?". Vergelijk Mobiel Internet. Retrieved 17 September 2012. ↑ "IEEE Approves IEEE 802.16m - Advanced Mobile Broadband Wireless Standard". IEEE Standards Association. March 31, 2011. Retrieved June 16, 2011. ↑ "WiMAX Forum Overview". Retrieved 1 August 2008. ↑ "IEEE 802.20 Mobile Broadband Wireless Access (MBWA)". Working group web site. Retrieved July 16, 2011. ↑ "IEEE 802.20 Mobile Broadband Wireless Access (MBWA)". Official standard. IEEE Standards Association. Retrieved July 16, 2011. 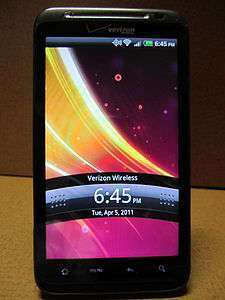 Wikimedia Commons has media related to Mobile phones. Wikimedia Commons has media related to Wireless modems.